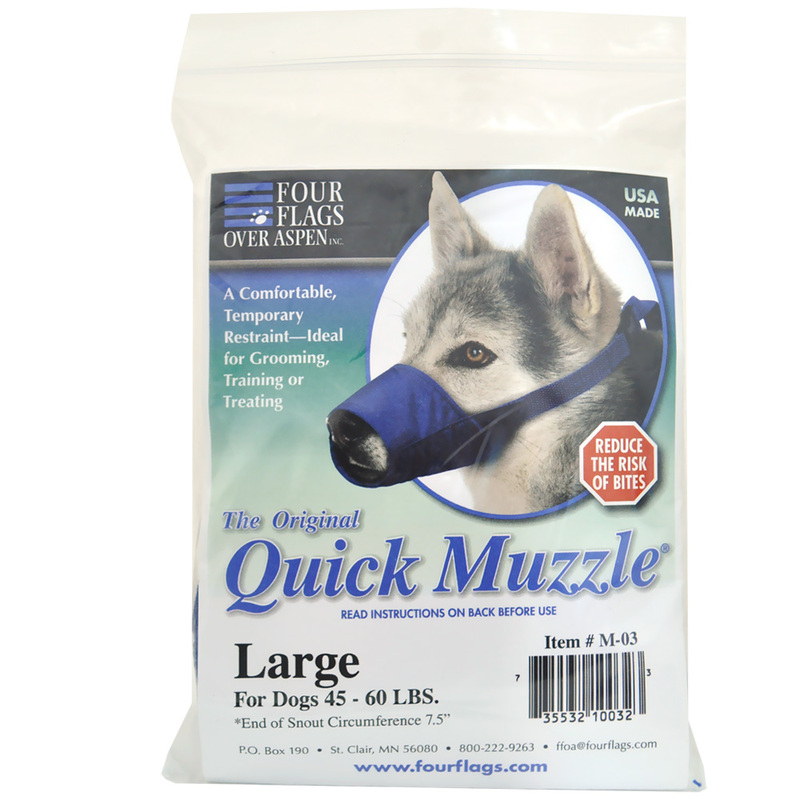 The Original Quick Muzzle grants a means for quick restrain of your dog. Each muzzle is constructed with a durable, water- and dirt-resistant nylon pack cloth for long lasting use. A webbing-reinforced construction increases the safety of this muzzle. It is easy to use, with adjustable straps and a durable quick release plastic buckle for fast efficient muzzle closure. To apply: Adjust the strap to approximate fit. Working from behind the dog’s had, hold the side straps and slip the muzzle over the snout. Position the straps under the ears. Snap the buckle and pull the loose strap tight for a secure fit. Please remember, the QUICK MUZZLE is for supervised, short term use to reduce the risk of bites. A muzzle is to be used with another method of restraint, with the animal handler holding the ultimate responsibility for safe control. With a proper, snug fit, the animal’s ability to pant is reduced, which could compromise the animal’s natural cooling system. Under certain conditions, this could produce a life threatening situation. X-Small 4.5" up to 5 lbs.